Passionate in the Finger Lakes: Seneca Lake and 1922 Starkey House Bed & Breakfast - what a lovely Autumn! Seneca Lake and 1922 Starkey House Bed & Breakfast - what a lovely Autumn! Guests find the food and hospitality the best at the Starkey House located just north of Watkins Glen, along the Seneca Lake Wine Trail, in the heart of the Finger Lakes Region. 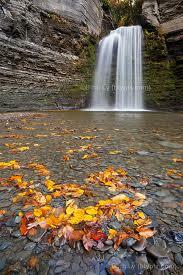 September and October were especially busy with guests still enjoying all the colorful foliage and waterfalls. The leaves and colors lasted longer probably due to the extra rainfall and the waterfalls were just stunning with downward sprays as well. I was really happy to host some early November guests and got a chance to prepare some of my self-composed menu choices tuned carefully for the Vegan diet. were well-fueled for our adventure every day. The potato pancake wraps alone would be worth a trip back!"